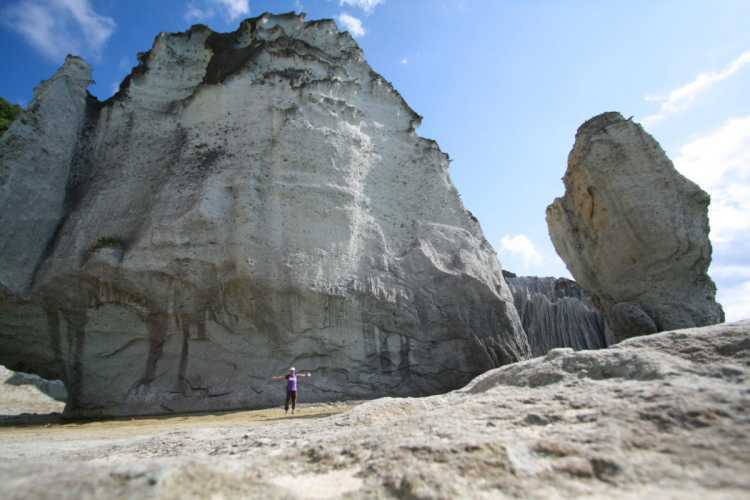 Hotoke-ga ura is a scenic spot of huge and strangely shaped stones standing at Shimokita Peninsula in Aomori. Superb view of overwhelming huge stones lying all over the place. Furthermore, the contrast of the blue sea and white stones makes more beautiful scenery.